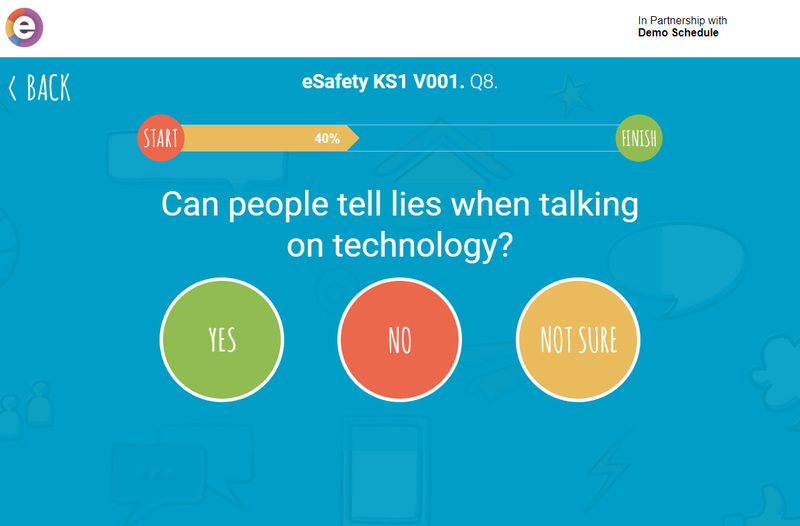 Assess students eSafety awareness and vulnerable behaviour quickly and easily using the online questionnaires. Identify knowledge gaps and risky behaviour, view recommendations for further learning and produce a record of your students’ understanding of online dangers. Raise eSafety awareness across your whole school with age appropriate lesson plans and unique video content that engages, entertains and educates. Re-assess student’s to produce “before and after” reports that measure eSafety awareness over time. Above: Sample questions from our online questionnaires. Short educational videos from eSafety experts on topics that keep you up to date with the online apps and games used by young people. Subscibe to eAWARE on our YouTube channel.